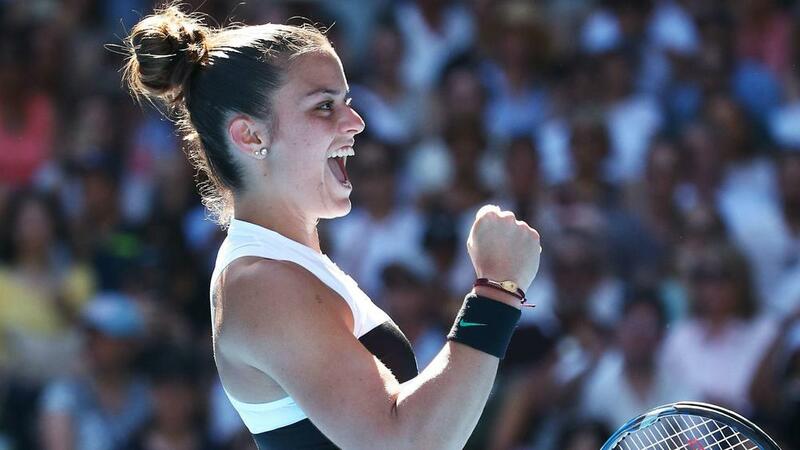 Ostapenko – the 2017 French Open champion – was expected to ease past Maria Sakkari on day one, but the Latvian came unstuck as she was beaten 6-1 3-6 6-2 by the Greek. She was not the only seed to fall at the first hurdle, however, with Auckland champion Julia Goerges and Barbora Strycova also bowing out. Four of the six Australians in action all booked round two spots, home favourite Ashleigh Barty leading the way with a comprehensive 6-2 6-2 win over Luksika Kumkhum. The Australian Open has not seen a home female winner since 1978 but many believe Barty could be the one to break that run, her impressive showing in Sydney prior to the first slam adding fuel to the fire. Kumkhum turned out to be little trouble, and the 15th seed is joined in the next round by qualifier Astra Sharma and wildcards Kimberly Birrell and Zoe Hives on a largely successful day for the home players in Melbourne. "[It's] really exciting," said Barty. "I'm really excited for them. "I think it's shown the depth that is in Australian tennis on the female side. I don't think it will be long before they're breaking through that [top 100] ceiling." Melbourne has not been a happy stop on the calendar for Sloane Stephens in recent times, but she recorded her first win at the tournament since 2014 by beating fellow American Taylor Townsend in straight sets. "It's been a tough couple of years here, but I do love this tournament," the 2013 semi-finalist said at her post-match news conference. "It's always tough at the first slam of the year [to] kind of getting going. I had a good result here once before, so I think I'm going to try to do it again." Katie Boulter made history on Court 12 as her match with Ekaterina Makarova went to a first-to-10 tie-break in the deciding set.